The TX-44 Super Planer is our largest planer. It is designed for lead core, copper and when using drop weights, hard pulling lures, Magnum Dipsy Divers, Jet Divers, Slide Divers, Dive Bombs, or Torpedo Divers. 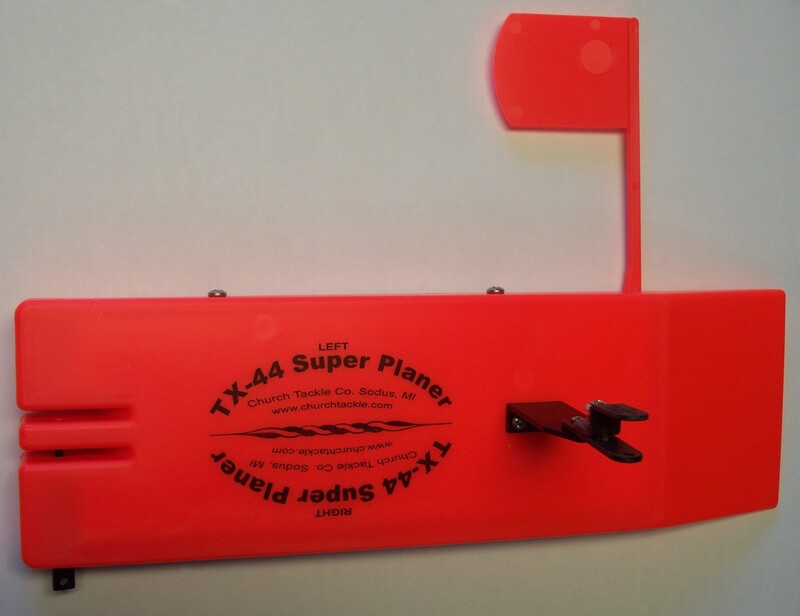 The TX-44 can handle lead core and copper lines along with one pound of weight! The TX-44 sets upright in the water out of the gate, and performs great at higher speeds. measures 14" x 4 1/2" x 7/8"